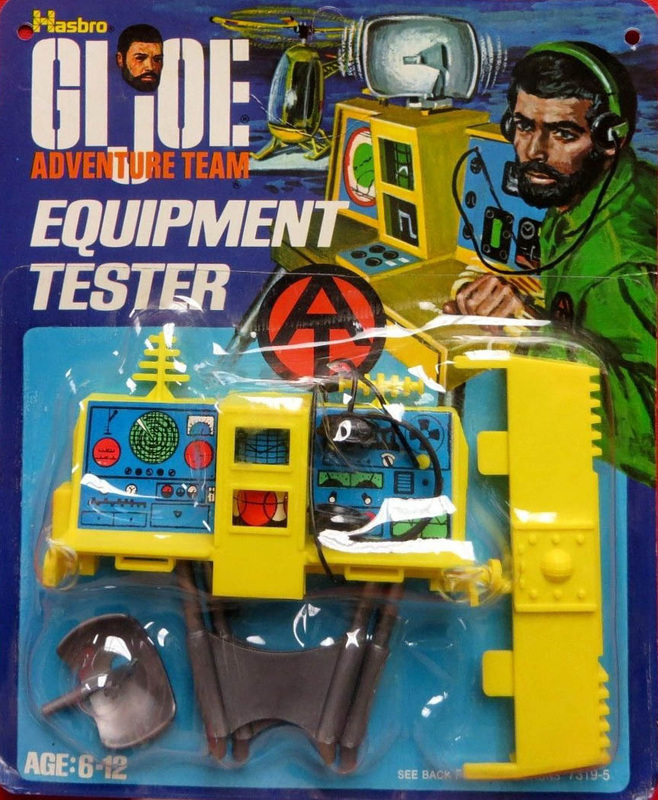 The Equipment Tester (7319-5) is a highly scientific gizmo. What it does and how it does it isn't exactly clear, but it seems to combine radar, several antennas, a recording device, meters, and a headset. The central silver dish rotates along with the readouts beneath it when the side handle is cranked. It was later re-released in blue for the 1975 Night Surveillance set. Image of packaged set courtesy of Joezeta. See his ebay auctions here.